So I was 20 minutes late for an activity, right? First off I was going 5 mph over everywhere. 55? No it's 60. 35? No, 40. Anyways I get to this one road with literally nothing along it except an abandoned house and the backside of a fenced in yard (I don't know if it's junk, mechanic shop, or whatever. I've never looked.) What is the speed limit along this wide road with shoulders to boot? 25 mph. I decided screw it since it's only a quarter of a mile long and step on the gas. I'm shifting loudly and about to go into third and max out at 60 (by choice, not crappy car) when the flashing blue lights of harassment show up in front of me. This is my first time getting pulled over, and I'm 16 so I'm pretty freaked out. I get my documents and roll with window down an inch and a half. Officer walks up and I hand him the stuff. He looks and says "Oh you're from [insert city 1 1/2 hr away]?" and I let him know I just recently moved. "Do you know what the speed limit is?" "25." "And you were going...?" "At least double" "I clocked you at 53." [stern look] "Any reason why you were doing this?" I explain how I'm late, the place I'm going is just a bit up the street, and admit what I did was foolish and stupid. He looks at my license again (presumably to check my age) and asks "Now if I write you a ticket who's gonna be paying for it?" I admit my parents would have to pay upfront and the money not going to gas, insurance, and the car would go to them. This is where he decided to let me go with nothing more than a warning. (Wait do warnings usually come with slips of paper?) I drove along and he tailed me until I got to the activity and then left. I'm so stupid. I'm bad, and I should feel bad. My need for speed, sliding, oppositelocking, and all other sorts of hooning are starting to drive me insane and I think I let it leak through almost full blast for the first time at just the wrong time. TL;DR I was late so on a 25 mph road (1/4th mile in length) with nothing along it I chose to get up to 60. 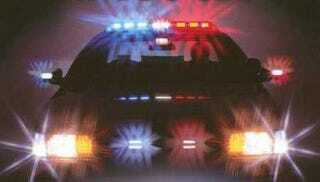 Oncoming officer clocked me at 53 and pulled my young inexperienced self over. I freaked out and got my documentation. Typical officer stuff and then he had mercy and let me go. I'm stupid, I should feel stupid, I need somewhere to hoon, and some officers are pretty awesome. P.S. Possible buildup to my mistake. I found a big quarry lot (less than 2 miles from my house) that's not blocked off and is actively used with a trailer park office and tried my hand at a Scandinavian Flick. Slid along for about a fourth of a second but felt pro and left intoxicated with adrenaline.